We have now hit the two week mark since we started spending 10 minutes each day getting connected together! Congratulations on your progress so far. Please remember to ask for help by leaving a comment on the blog. If you are a connected educator already, please feel free to add more to our “10 minutes” by sharing your learning here as well. Today we go back to Twitter. Last week we asked you to create an account, and we demonstrated how to start following some of the learning on Twitter. We use what we learned this week about the value of curation as a skill and practice, and we consider how Twitter can be used to access curated content and contribute your own curated content. Silvia Rosenthal Tolisano has written extensively on this topic. We have already considered how to collect information and learn from others on Twitter. 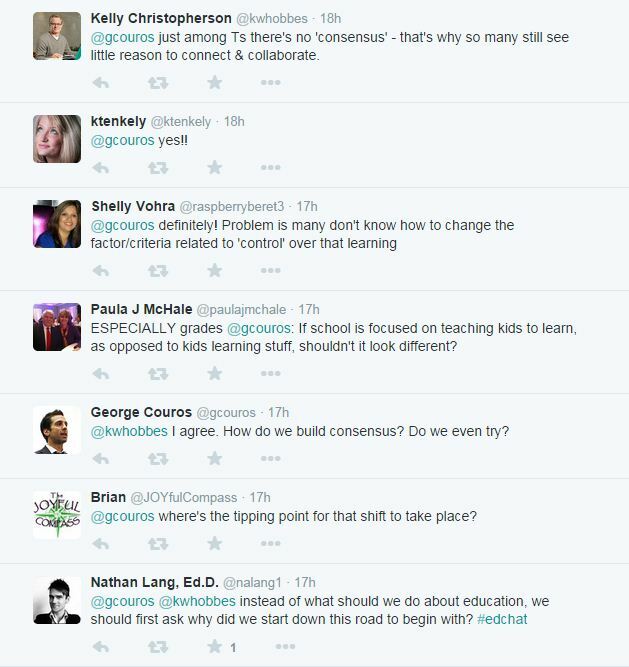 As we build our PLN, we are, in a sense, customizing the information we receive on Twitter. We follow people with similar interests, who act as curators for us. For example, we follow ECOO Director Alana Callan on Twitter, because we know that most of what she posts will be of interest to us. Today, consider how you are acting as a curator on Twitter. How are you sharing the resources that interest you? Do you select a quote from a resource as you share it? Perhaps you add your own thinking to challenge the thinking of others. 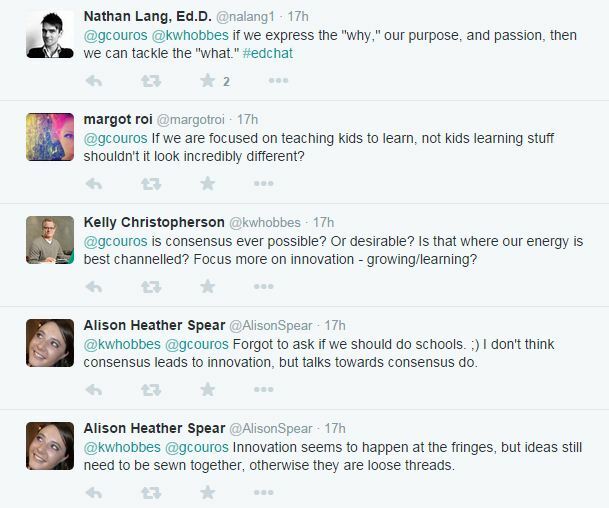 Do you ask questions to promote deeper thinking and invite conversation? How can you leverage your presence on Twitter to take ownership of your own professional learning? 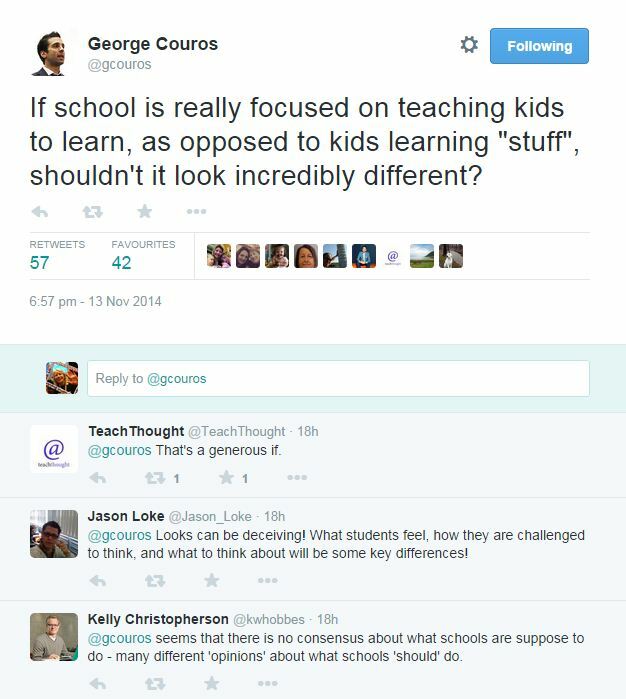 How can you be a valuable contributor to the professional learning of others? It’s important to remember that curation on Twitter is not always the same as general “sharing”. If you agree with an article or something then you can just share it, and that can be curation. If you don’t agree or aren’t sure and just want to share it, post it with a caveat or a question, like “Not sure what I think of this article: —link—” or “I disagree with this idea: —link—“. For many users a retweet feels like a recommendation.